Pro audio quality sound designed to wake the neighbors. Built for mobile DJs, musicians, and loud music fans everywhere. 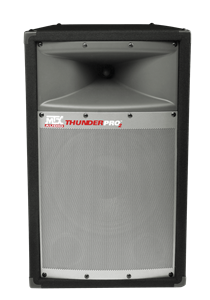 MTX ThunderPro2 cabinet speakers are designed for people that love their music and want to listen to it loud. These speakers are designed for mobile DJs, musicians, and loud music fans everywhere. 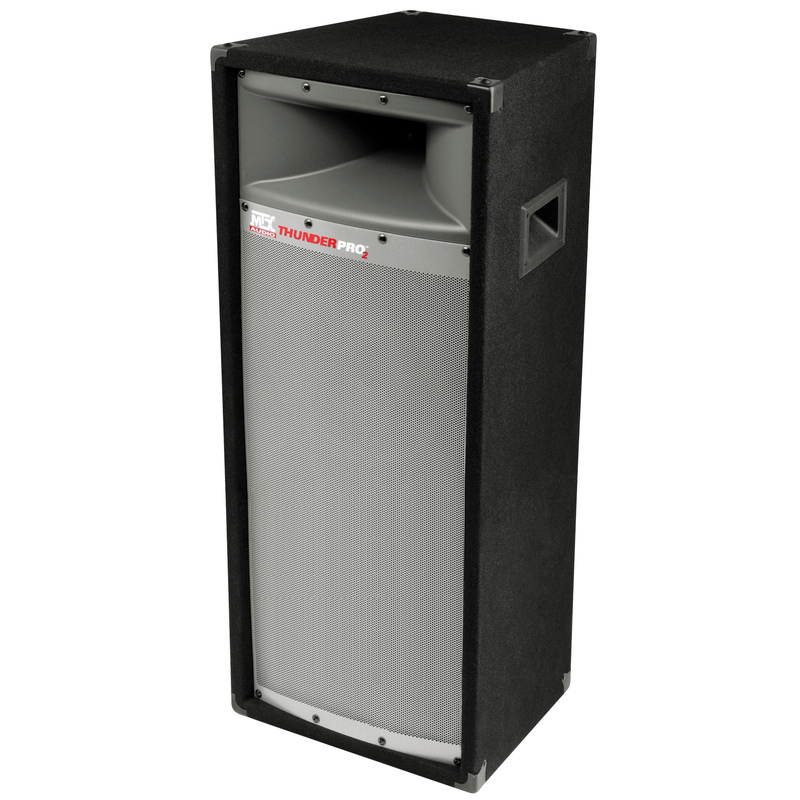 These sturdy speakers are durable enough for your home party system, garage, or live performances anywhere. The high output sound is created using dual 12" woofers that delivers exceptional mid and low frequency sound reproduction and a 1" horn loaded tweeter perfect for delivering crystal clear vocals and high frequencies at high volumes. The TP2400 has a 4Ω impedance and is capable of producing up to 400-watts Peak power. The unit includes a stainless steel grille that protects the drivers from party mishaps and transportation snafus. 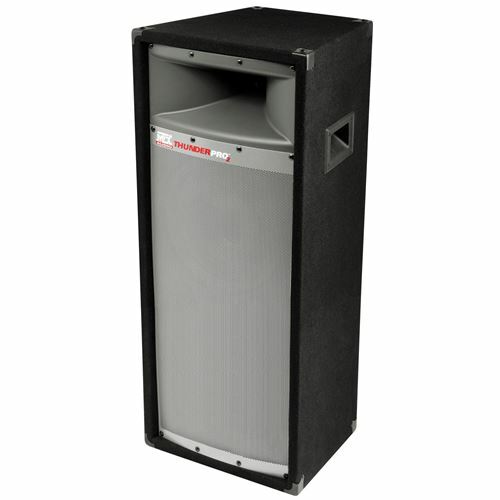 The MDF enclosure is durable and designed to withstand the massive SPL generated inside the enclosure. The unit is covered with aviation grade carpet that can withstand extreme use and it has integrated sure grip handles in the sides for easy mobility. 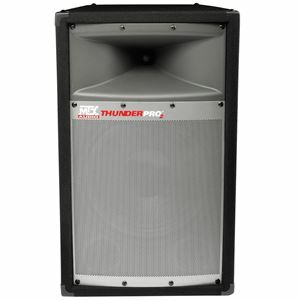 Corner braces protect the enclosure from damage and the 5-way binding posts and 1/4" input jack make connecting your source to the speakers fast and easy.